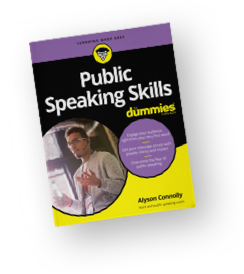 Alyson is a professional coach who brings her acting experience to the table when it comes to public speaking. She will make you comfortable during her sessions. Since hiring Alyson, I have become more conscious of what I am saying and how I am saying it. And she's taught me to embrace my accent because it is unique.